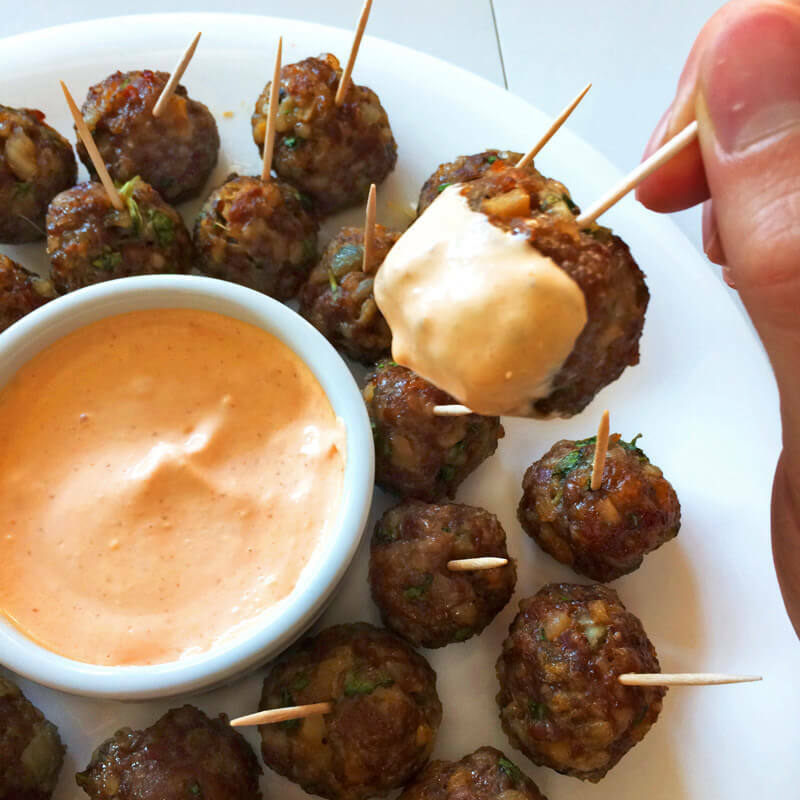 Enjoy my keto asian meatballs as an easy party appetizer. 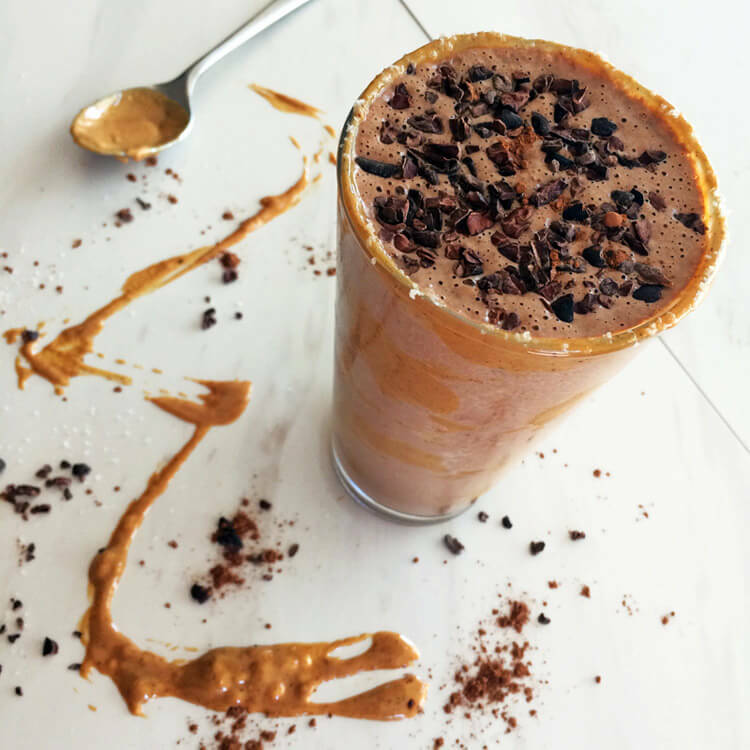 Everyone loves the flavorful combination of ingredients! Add my sriracha mayo sauce on the side for extra fat. Put the meatballs on a bed of salad greens for a full meal. If you like this keto recipe, please share it on social media with your friends and family. 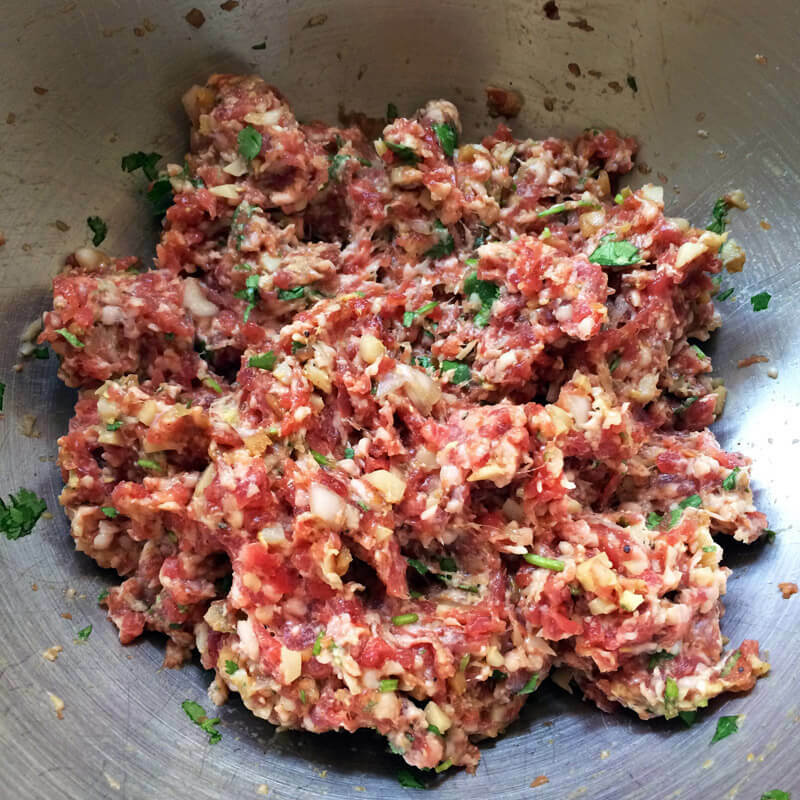 Easy and flavorful Asian meatball recipe for the keto diet. View my Keto Shopping List for more keto approved foods. Finely chop all the ingredients. 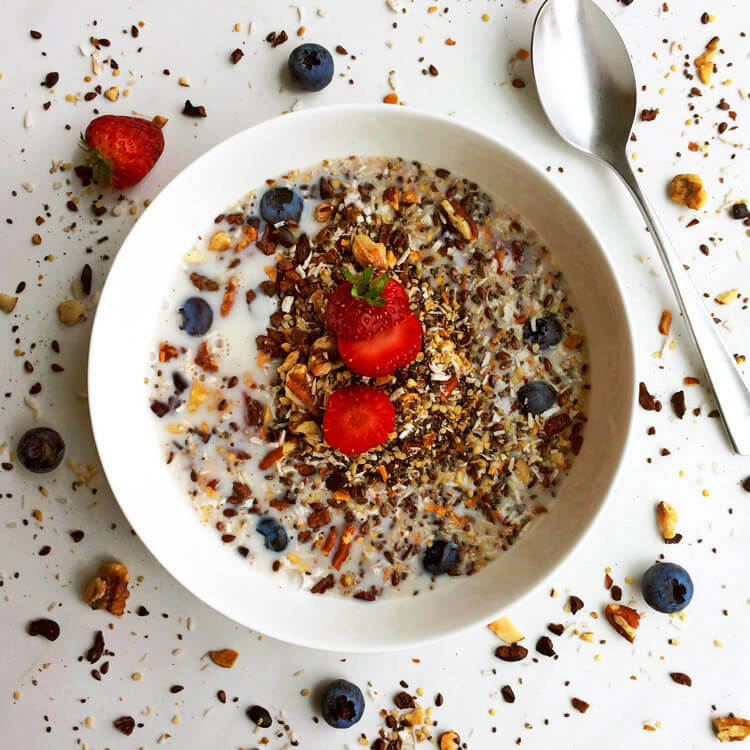 Stir them in a large bowl until evenly mixed throughout. In the palms of your hands, roll the mixture into small balls. Use a little over 1 tablespoon for each meatball. Place them in a large roasting pan evenly spaced throughout. Bake the meatballs at 400°F for 20 to 25 minutes. They should be evenly cooked throughout. Remove and cool, then place them on a bed of greens, or serve them with toothpicks and dipping sauce. Make an easy sriracha mayo sauce by mixing 1/4 cup of homemade mayo, 1 tbsp. of srircha, and a squeeze of fresh lime juice. Add this on top of the meatballs or keep it to the side. The size of the meatballs can be increased or reduced to meet your personal preference. 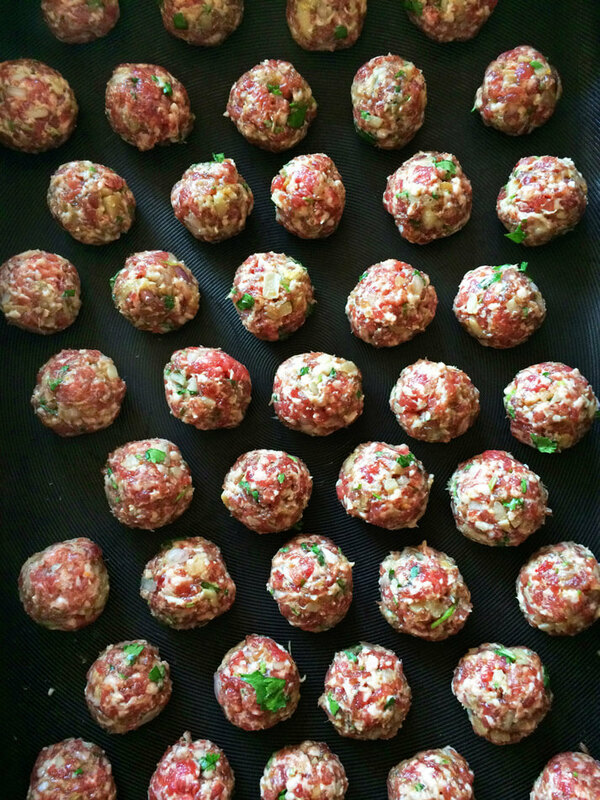 Larger meatballs will take longer to cook, while smaller ones will cook quicker. Rolling the meatballs can take awhile. It helps to have two people do this task. Add a tablespoon of sriracha mayo for an extra 100 calories and 10g of fat. Put your meatballs on a bed of leafy greens for extra fiber. View my Keto for Weight Loss for more nutrition information.